Entry-level ARM platform for embedded applications. Low cost and flexible system provide an ideal solution for cost-sensitive designs. Low power consumption enables battery powered applications. 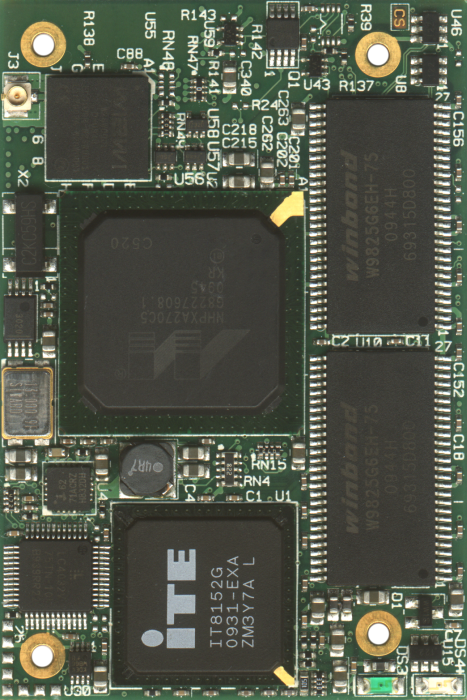 The CM-X270 is a small Computer-on-Module board designed to serve as a building block in embedded applications. The CM-X270 has all the components required to run operating systems such as Linux and Windows CE. Ready packages for these operating systems are available from CompuLab. The small size and low power consumption of the CM-X270 allows its integration into hand-held and mobile applications, while its low price makes it an ideal selection for cost-sensitive applications. Based on Intel's XScale architecture, the CM-X270 delivers a price/performance ratio significantly better than that of any other platform. The feature set of the CM-X270 module combines a 32-bit CPU, SDRAM, Flash Disk and vital computing peripherals. For embedded applications, the CM-X270 provides 100Mbit Ethernet, serial ports, general purpose I/O lines and many other essential functions. An integrated WLAN (WiFi) interface implements 802.11b/g industry standard wireless connectivity. 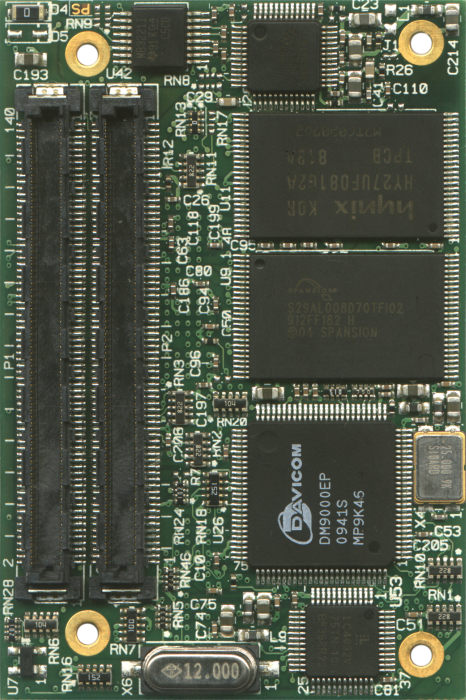 The standardized CAMI ("CompuLab's Aggregated Module Interface") connectors of the CM-X270 module allow interchangeability with other Computer-On-Module's available from CompuLab, enabling the flexibility required in a dynamic market where application requirements can change rapidly. Video Input Port Direct camera sensor support, max resolution 2048 x 2048. For previous versions of the CM-X270 software packages, please refer to the CM-X270 software archive. CM-X270 is a mature product and is not recommended for new designs.